In most states, wills are governed by the Uniform Probate Code (commonly known as the UPC) either in whole in parcel. States that have adopted the UPC in whole include; Alaska, Arizona, Colorado, Florida, Hawaii, Idaho, Maine, Michigan, Minnesota, Montana, Nebraska, New Mexico, North Dakota, South Carolina, South Dakota, and Utah. Other states have adopted parts of the UPC which is supplemented by that particular state’s statutory scheme. Probate refers to the manner in which a duly executed will (requirements for proper will execution are also found in the UPC or in state statutes) ascertains beneficiaries, distributes property, and passes legal title from the decedent to the beneficiary. Probate is most commonly done where there are issues of clarification in a will or where there are challenges to the will such as incapacity, duress, or fraud. Simply put, probate distributes the decedent’s property to the beneficiary and passes legal title to the property. 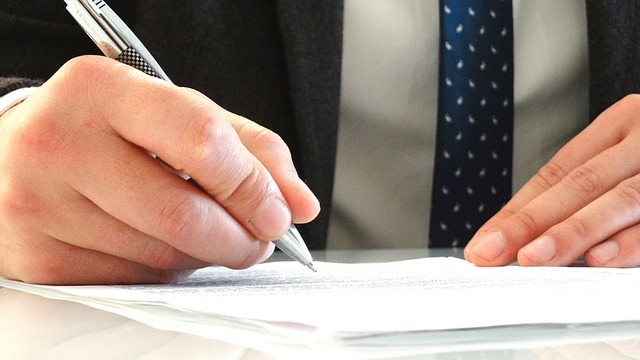 In some instances, management of the property can begin on the death of the decedent but legal title is clouded until the title is legally transferred through the probate process. Strictly speaking the will itself is not probated, the estate left by the decedent is what must go through the probate process. There are a few instances where an estate is required to go through probate such as when the decedent dies with no will to distribute the assets of their estate. Another instance where an estate must be probated is where the decedent leaves a valid will; a validly executed will can eliminate some of the uncertainty of estate succession, but is still necessary to properly distribute assets with legal title. Some states allow for a simplified distribution process for smaller estates (in Florida it is called a Summary Administration when the estate is valued less than $75,000 excluding homestead property), but the process itself is still technically probate. Another instance where a will must be probated is when there are problems with the existing will such as mistakes in the breadth of the decedent’s assets, or where there are problems with the formality requirements of the will. Also, when the property is solely in the decedent’s name the estate must also pass through probate to transfer title in the property to the named will beneficiary. In the instance there are no named beneficiaries in the will, or when the named beneficiaries predecease the testator (the person making the will) the estate must also pass through probate to determine the appropriate beneficiaries. The Uniform Probate Code has provisions governing this type of estate distribution so check with your jurisdiction to determine whom the beneficiaries of the will should be. One final situation where will probate is necessary occurs when the decedent owned property as tenants in common; probate is required in this situation because the property is not solely owned by the decedent. While the portion of property owned in this manner will still transfer to the named beneficiary, barring any other issues with the will’s formalities, it will be transferred with the same rights and privileges as the testator had in the property. To summarize, a duly executed will must pass through probate to transfer legal title to the named beneficiary who upon receipt of legal title may devise or distribute the property as they choose.